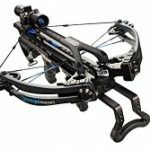 For many people, the compound bow can be an intimidating sight with all its gears and accessories, especially when compared to the traditional bow. 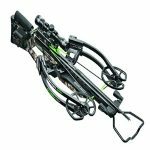 Trust me; it’s way easier to use than its cousins like the longbow and recurve. 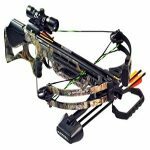 As a hunter, I consider my compound bow the only hunting partner I need and that’s saying a lot! 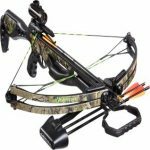 But for all you aspiring archers out there, it’s not enough that you have a compound bow; you should have the right kind and know the proper stances when shooting and aiming the compound bow. Getting curious now, aren’t you? 1. Finding the proper bow: This is a special shout out to all those who think there’s a problem with their bow or still has no bow. 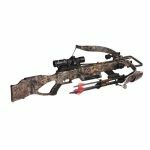 Don’t just randomly use a compound bow when you see one. I used my cousin’s bow once, he was a lot taller, and it wasn’t a pretty sight. I kept missing that in the end, I thought there was a problem with me! Anyway, you need to take into account two things draw length and draw weight. Extend your arms like you’re about to fly, but in a horizontal manner. Measure the width from one middle finger to the other, in inches. Divide by 2.5 and you’ll get your draw length. This is valuable information. When you draw and your body is scrunched up, then your draw length is too short. Otherwise, when it’s challenging to draw back all the way, then it’s too long. Both scenarios won’t help you hit the mark. Generally, a male has a draw weight ranging from 55-70 pounds. Females typically have 30-50 pounds. This can be a little tricky since it ranges from one person to the next. In case you’re wondering, the draw weight is a force that a person needs to exert when properly drawing the string back. Proper stance: Now that we got the proper bow out of the way, let’s get to the stance! Yes, some of you will find this tedious and unnecessary. Keep in mind “the weapon is only as good as its wielder”. If you’re right handed, then your left foot should be slightly stepped back and vice versa. This miniscule adjustment opens your chest up, thus avoiding hitting your chest with the string. As far as your grip on the bow goes, don’t grip it like your whole life depended on it; choking the bow to death can cause the bow to twist as you fire. A proper grip is loose and relaxed; remember that the grip should he balanced on the center of your palm and the weight, evenly distributed. Slightly turn out your bow hand in order to get your hand out of the string’s way as you shoot. Believe me, this little trick will save you a lot of welts on your arm. Pick up an arrow, pull the back of it right until your hear a distinct click. This means it’s properly placed. Equip your draw arm with your mechanical draw; attach the mouth of the release onto the back of the arrow where the loop is found. Take note to always place your index finger at the back of the trigger, this avoids any accidental releases of the arrow. No matter where the target is, always remember to keep your chin parallel to the ground and your eyes on the prize. Keep a straight and strong posture; the less you move, the less you’ll miss. Lastly, don’t ignore the aiming sights on your compound bow; they’ll aid you in analyzing your shooting distance. If your target is at most 20 yards away, then aim for the top dot. The other dots you’ll see are set for greater distances; 30, 40, 50 yards away. Firing: Well, at this point you’re ready to fire the arrow and get a perfect bull’s-eye. Remember that almost all initial bull’s-eye are beginner’s luck, no one is an expert on their first try. Hold the bow up, and as mentioned, keep your grip loose and slightly bend your elbow. This, not only gives you additional comfort, it keeps you from hurting your wrist. As you draw the string back with your mechanical draw, try to draw it with one smooth and fluid motion. Also, as you pull the arrow back, keep the bow aimed at the target. For those of you who lack power when drawing, rotate your shoulder as you draw back. Just a quick reminder, as you progress, lose the habit of rotating your shoulder. Draw back to your personal anchor point. Each and every one of you archers have their own personal anchor point; may it be the knuckles on the cheek or your thumb behind your ear. The point is to discover a spot that you will always hit as you draw. Let the string touch the tip of your nose as you draw in order to improve accuracy; this will be considered your second anchor point. Let this second anchor point occur naturally, don’t force it and don’t bend your neck just to meet the string. Align the pin on the bow, with your sight alongside the target’s center and make some final adjustments to your aiming. If you were relaxed and your body only moved slightly out of position as you drew, then only minor adjustments should be made. Finally, when all adjustments to aim have been made, gently release the trigger. Some beginners tend to pull hard on the trigger; relax people, you’re not in the set of Hunger Games just yet. You see, when you murder that trigger, the aim and the accuracy will change and it’ll end up as a miss. So that’s all there is to it! Don’t get frustrated when you miss the first couple of aims. I’ve been doing it for years and now that pretty bow of mine almost feels like an extension of my arm. So, let me share some additional tips with you. Always be calm when you practice your shooting, otherwise you’ll have tense muscles and miss even more. Develop the habit of aiming your bow at the target even as you draw. Every one of you will almost certainly be shocked at the force when you release the arrow and about 98% of you will suddenly jerk at the force. With that in mind, keep calm and keep your posture. A common mistake among beginners is to lose posture once they release the arrow. After the release, keep your posture for at least 2 seconds or else your might pull off target. And finally, have fun. When you miss, laugh once or twice here and there. Don’t be angry at yourself, even the experts started off somewhere. Keep practicing, you won’t even notice it when you laugh a little less at yourself and hit the bull’s-eye even more. 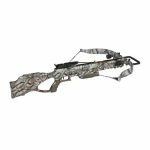 If you want to know more about compound bows, we highly recommend that you read our masterpiece on compound bows.